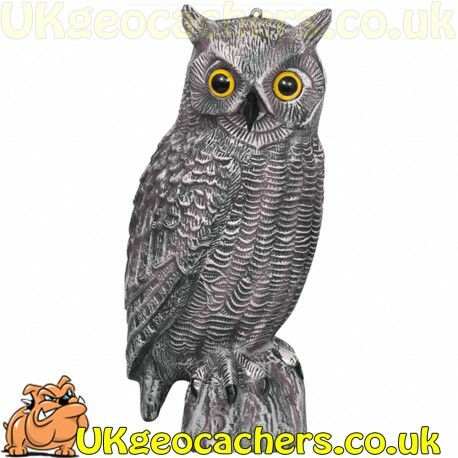 This is a life sized Owl decoy bird, that already has a hole in the base with a push in lid. We have not adapted this into a geocache, so you can decide how it will work best for you. At approximately 16 inches (41 cm) tall, this would make a truly great cache in the right spot.